I am in the thick of putting the Never Going Home manuscript to rights. Almost all of the writing is in, but the wildly different styles of the authors have to be reconciled. This is a big job and I’m really not sure how I’m going to get it done by the date we’ve set for ourselves. I see I’ve got all this work to do, but I also see my inbox full of questions from other writers who are doing adventures for an adventure collection. 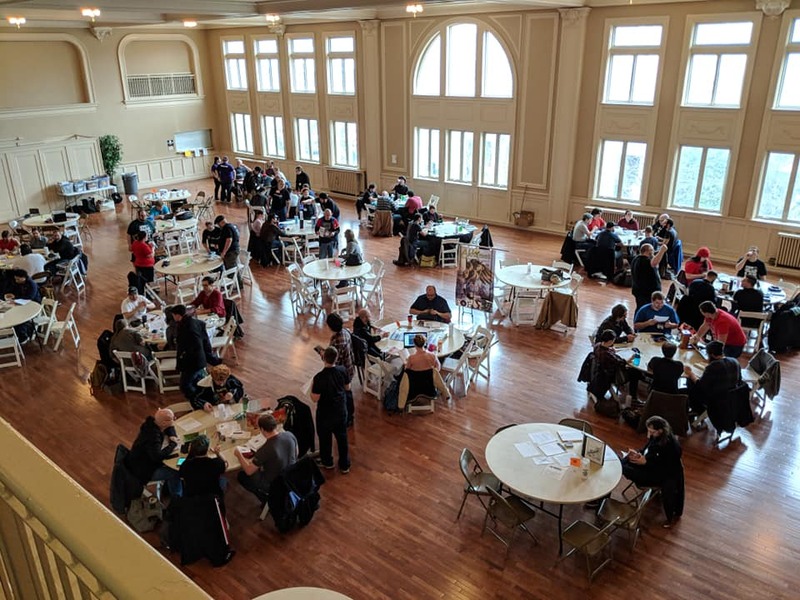 There are all sort of skill levels represented in this group of 31 writers as well as different levels of experience with role playing games and with the First World War. 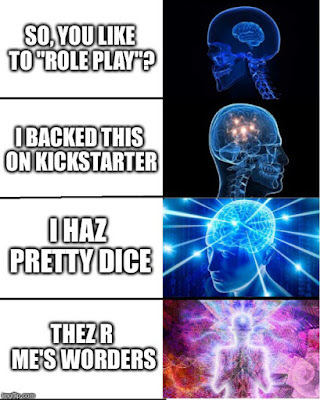 I’ve found it hard to keep them all on track and explain the game mechanics over and over and still have the energy to sit down and work on my own word counts. It’s just another aspect of how NGH is bigger than we ever expected. My role as creative director is really stretching me when there are so many places my attention is being drawn. Learning. We are still learning how to do this. Never Going Home is certainly the biggest iron in my fire pit, but I also have a few more in there. Since Wet Ink Games has created a new system for NGH, we feel we can use it to make more small to medium-sized games. We are developing a few at the same time, but the one off to the fastest start I will be called Project Equus. We have someone whom we have worked with before who had a really good handle on the +One system. We’ve basically given this person a free hand to create a game and they are off and running. My involvement should be slight, but it’s still something I have to keep an eye on. We have also started to move forward on a large project I am going to call Project Nimbus. It will very likely be in development for several years and will take a lot of work – mostly in the world building and in hemming and hawing to get the tone absolutely right. Aiming from the start to make a “prestige” product is not something I have done before, but with the success of NGH and the working methods we are trying, I think we will be ready to make a great finished product by the time we have all the contents written. Lots to do. Better get to it. When we chose to set the first Wild Skies book in Europe we always knew “The America Book” was going to be the next one we did. Being two “Yanks” ourselves, it only made sense. We took the same assumptions about the period and the technology level we want for the Wild Skies world and adjusted everything to an America context. What if everything Nikola Tesla said he could make actually got made? What if there was no “trust busting” and bigger and bigger companies unified into one mega-corporation? What if American politics of the period was stanch isolationism backed by the highest level of tech in the world – all leased to the army and air navy by said mega-corporation? Well, that’s the America we present in Liberating Strife. That was what Brandon and I brought to the table. This was bigger than our previous project with two additional writers brought on. To over-simplify their contributions, John Kennedy was our “company and dissidents” specialist and Josh Sinsapaugh was our “culture and counter-culture” expert. The depth of research those two went to and the results they produced fill me with joy. Instead of just giving players a bunch of American tech and some American animals, this book paints an almost complete picture of the United States of American in this alternate reality diesel punk time line. Corporate structure of the United Dennington Trust; it’s there. Boardroom politics at the highest levels; covered. The popular and underground music scenes; explained. Traveling the roadways and airways; yes. All the countries of North America; have their own section. This is a 130 page book and it’s page 67 before you get to anything with game statistics; before that it’s all world information. Considering three of the four main writers grew up with Palladium’s Rifts* Wold Books, maybe it’s not a surprise. The book also has a lot of great art in it. Showcasing art is another thing we get from the game books which are our roots. The cover by Chuck Walton and Eduardo Domínguez is another great one. Inside, in addition to another slate of great pieces from Mike Mumah of animal people doing all the things (shout out to my favorite, the Jazz Age party on page 87) and Aspen Aten doing another map for us and Brian Manning’s work on the weapons and vehicles, we have 30s-looking national parks posters from Steven Wu and action scenes by Steven Cummings. All together Wild Skies: Liberating Strife doesn’t just give you some stuff from America, it lets you play Wild Skies in America. 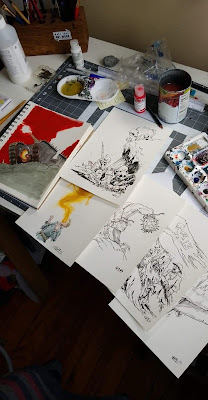 Case in point: In January I ran a game of Wild Skies using some adventure seeds we had sent to Kick Starter backers right after we funded and the pre-gen characters in the book. I was laying awake in bed the night before thinking about the game and trying to account for everything the players might want to do. I knew my game was full of people who had signed up specifically to play Wild Skies – I knew they would want to test the full potential of the game. As I lay there, I feel like I went through all the stages up to cosmic brain, because with all the material in the book flashing through my head and all the sessions I have run over the last few years I knew I could handle any situation which came up. 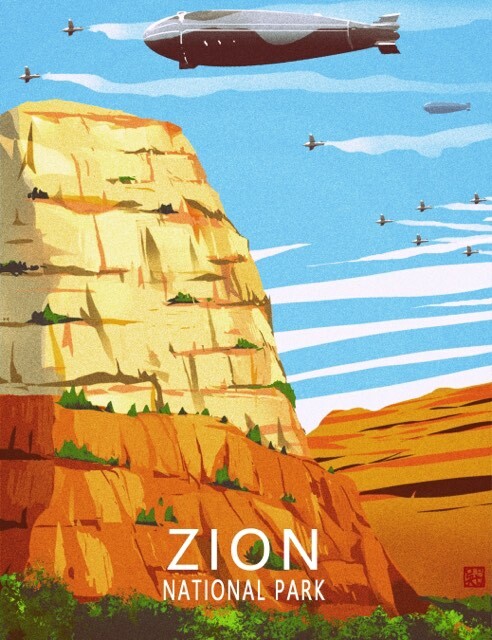 If they wanted to go on a road trip, or try to take over a night club or ride the rails, or become air pirates, or stay in the work camp and investigate the original mystery, I could run that. When it came to it the next day, I could indeed run it and we had a great time. People like a game I helped create! It’s an amazing feeling. Wild Skies: Liberating Strife is Wet Ink Games product number WIG-108, which means there are 9 Wild Skies products out there now. I haven’t talked about them all here so be sure to check them all out on DriveThruRPG. I tend to read between 40 to 50 books a year. I know this empirically, because since 2006 I have kept a record of every novel, comic book, role playing game rules book and non-fiction book I have read. I’ve reviewed some of them here, but I don’t think I’ve put my full list up before. It’s below. Before that, I want to say a brief word about my favorite five books of the year. This is an art book with very little text. It is essentially the senior project of artists David Leventhal and Gerry Trudeau who were looking at how to make images do more narrative work than just illustrating a text. Leventhal has already reached his mature form with his soft focus photographs of toys which create images of the Eastern Front which seem real. Along with the text by Trudeau the book is, as it is titled, a graphic chronicle of that phase of the war. This was on my want-to-read list for a long time and I enjoyed the impression it created of seeing dramatic moments of history recreated. I have more thoughts about this one and some images in an earlier post. I also previously talked about this role playing game by Jared A. Sorensen. I got to play this game for a second time at NerdLouvia earlier this month and two of my players were there specifically to play this odd dreamscape crime solving game. It remains unlike any other RPG I have ever read and I look forward to playing it again and getting better at bringing all the weirdness this game has to offer to the table. This is the third book in what became a trilogy. I was wary of if because this book was written almost 20 years after the second book in the series. There is a little bit of disconnect in style, how could there not be after two decades? That said, it’s not much of a disconnect. I also may like this one the best of the three books. It’s more intimate and personal and I enjoyed that this year. I have long said Gene Wolfe is one of my favorite writers, largely because one of his early books immersed me in a way which has rarely happened to me. In this series, Latro is a Roman mercenary from when the Greeks were ascendant who, because of an injury, cannot make new long term memories – and also sees the gods. The text is Latro’s journal written day by day about whatever has just happened. It’s a great set-up for storytelling. This adventure follows Latro as he sails up the Nile. Since I wrote a NaNoWriMo about ancient Egypt a couple years back, I was fascinated to read all the fictional Egypt stuff. It also felt a bit like a self-indulgent closure for the character, but since I like Latro, and had just read two other books about him, I was happy to get this closer examination of this character. I recommend all three books in Wolfe’s Soldier series. I’ve read a few books about the JFK assassination this year. This one is my favorite so far. It’s an attempt by Richard Trask, a professional archivist, to put every photograph and film strip into print. That in itself is fascinating, especially for the many photographs by the journalists who were in the presidential motorcade. Not only are their photographs objectively better than the famous amateur photos because their greater training and better equipment, they were also able to capture all the moments of the immediate aftermath of the assassination because they were right there with their cameras ready. More interesting than the photos for me, however, was Trask’s collection of the biographies of the photographers, details about their cameras and the state of the news industry at the time. Why was Zapruter filming that day? What kind of camera was Nix using? How does an image wire service work when it’s still the age of wet chemical film? Trask answers all these questions. I don’t read a ton of comics, but this series written and drawn by Kyle Starks with color by Chris Schweizer and design by Dylan Todd is the best one I have read this year. It is the story of a hobo who is searching for the fabled rock candy mountain, which is essentially hobo heaven. There’s a lot of fist fighting and a significant about of magic weirdness. It’s so engaging and thoroughly interesting – at least to me – I am nothing but pleased I read it. It’s just good comics. For honorable mentions, I read several things I’ve been meaning to read for a long time; Frankenstein, Jim Henson's Tale of Sand, My Friend Dahmer, and old comics like Samurai Penguin, Cutey Bunny and Magnus Robot Fighter. I also completed all the Conan and Sherlock Holmes stories, which feels like something of an accomplishment. I also read a collection of Jon Ronson’s journalism called Lost at Sea: The Jon Ronson Mysteries which I enjoyed. -The Voice Out of the Whirlwind: The Book of Job - Ralph E Hone, ed. -Wonder Woman: The Golden Age Omnibus Volume 1 - William Moulton Marston, HG Peter, et. al. -Samurai Penguin #1-7 - Dan Vado, et. al. -Russ Manning's Magnus, Robot Fighter, Volume 3 - Russ Manning, et. al. -The American Revolution: First-Person Accounts by the Men Who Shaped Our Nation - TJ Stiles, ed. -The Letters of JRR Tolkien - Humphery Carpenter, ed. -Copernicus Jones: Robot Detective #1-8 - Matt D Wilson, Kevin Warren, et. al. It has been a very busy month here in “the museum”. The campaign for Never Going Home concluded on 3 December after a very successful run. This is by far the largest Kickstarter we have ever run and the results are actually a little scary. When we had under 200 backers for Liberating Strife back in April, I felt gently encouraged. 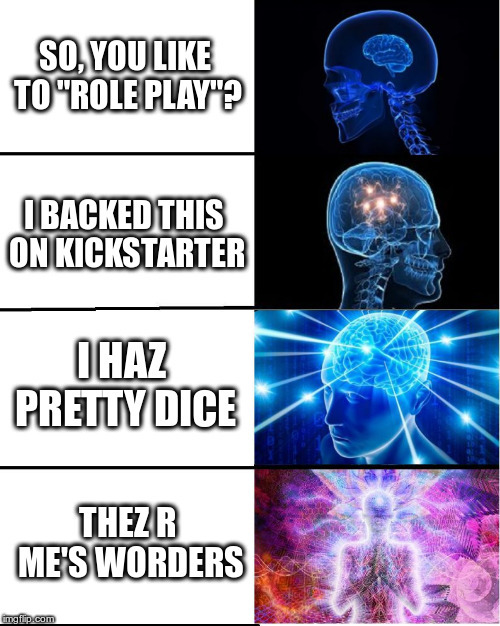 With NGH getting over 800 backers I feel like we’ve suddenly catapulted to a new level of notoriety. I feel pressure to do everything right like I’ve never felt it before. Before it was just self-imposed perfectionism. Now, I have to impress a lot of strangers, many of whom have more experience with games and with Kickstarter than I do. This project isn’t on “easy mode” anymore. Not that I’m complaining. Everything I’m talking about is a good problem to have. I spent the next week after getting everything ready to actually run Never Going Home at a local nerd-centric event called Nerdlouvia. It’s put on my Nerd Louisville and this was probably the biggest of the three years I’ve been going. The photo below captures me down in the lower right corner waiting for my game to start. When it did start, Never Going Home works as expected! Since it was was the first time all the pieces of the game were tested at once, there were a few hiccoughs, but for the most part it’s a working game. There are some improvements to make, which became obvious as soon as I had players asking questions and wanting to do things. Those ideas will have to be worked in and some other things tried. I’ll have to test it all out before too long. This book is slated to be done – at least with the writing – by the end of February. Wet Ink is in the middle of getting contracts with all our writers and planning who is writing what and what art we need. It’s going to be a big job. Our biggest yet. When will it feel like we’ve “arrived” as a company? I have no idea. Today marks 100 years since the end of fighting in the First World War. It is Armistice Day. For the last few years as each centenary of the events of the war has come, I have seeped myself in the history. It’s no surprise to me my creative life has in the last few years been dominated by echos of the Great War. While writing the Sovietski for Palladium Books I studied the October Revolution and the early days of the Soviet Union to get capture some cultural notes from that period. I was even more drawn into the Great War by working on Wild Skies, my first original game, which is set in an alternate timeline where the war didn’t come to the same relatively tidy end we know from history. Last year I summarized the events of the whole Russian Revolution and its place in the war as near-daily updates on FaceBook. My newest project, called Never Going Home is horror role playing set directly in the trenches. With so many of my creative output focused on this war and its aftermath, I have to acknowledge this day. Especially this year, today is, for me, a solemn day for remembering the dead. I am staggered nearly to silence by the loss the war inflicted. The rough figure is 16 million people killed by the fighting; soldiers and civilians. With another 20 million soldiers wounded. That’s the war itself, not counting the Spanish Flu, the Russian Revolution, or the conflicts which simmered in the former Ottoman Empire into the 1920s. The numbers have a danger of becoming simply statistics. 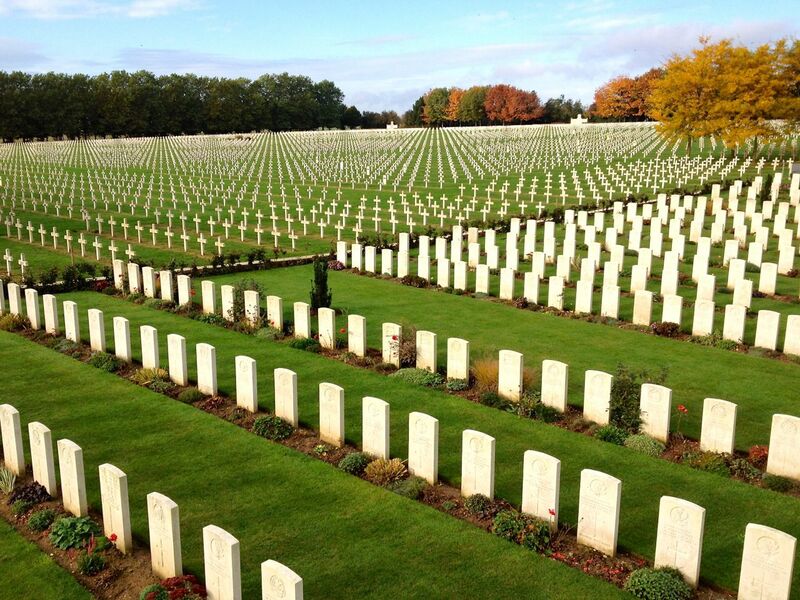 I find it more arresting to look at pictures of the graveyards which cover the former battlefields. Solemnly look with me. What was the meaning of so much death? Famously, the war was supposed to “end all wars”, and that certainly hasn’t proven true in the last 100 years. How much more death have we seen then? Too much. Today, I am remembering all the dead. It’s very hard not to be cynical, but I want to celebrate the idea of peace the armistice of 1918 represents. We can stop fighting wars. We can move things to the negotiation table. We can agree not to kill anyone today. Peace is an idea worth working toward. To be clear, I am not talking about shaking hands with people in my own country with different politics. That’s too easy. I am not saying there are not things like racial justice and clean water which are worth fighting for. There are! Voices must be raised, demonstrations staged, change demanded. I am talking today about questioning the need for weapons technology and political assumptions which lead to bombing villages from airplanes and building missiles capable of crossing oceans. 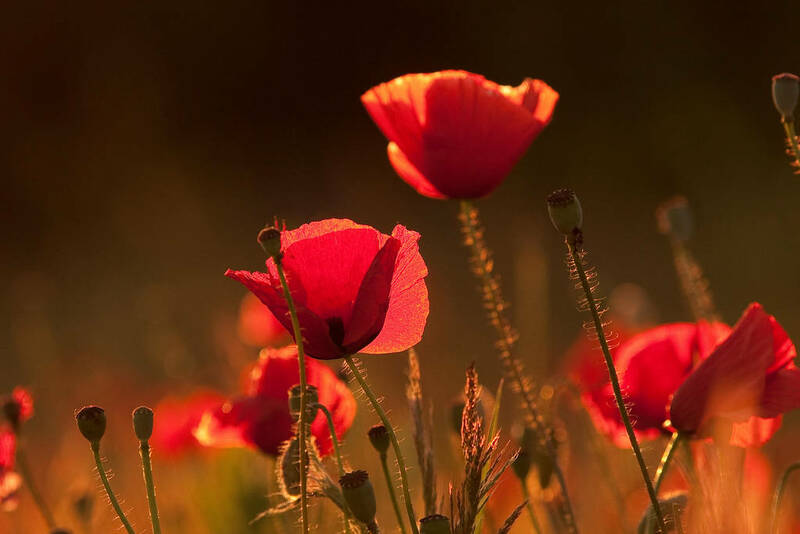 I am affirming today, on Armistice Day, I want to live in a world without armed conflicts, proxy wars and national posturing in the form of military spending. I know words matter. A call to memorialize all those killed by war is very different from a call to honor the sacrifice of soldiers. I will let others celebrate today as Veteran’s Day. Today I look beyond the need for military might to appreciate the possibilities of peace. Another project I was involved with has reached print. CAPERS is “a super-powered game of gangsters in the Roaring Twenties.” The game first came to my attention almost a year ago when the creator released a preview version to IGDN members. I don’t tend to get too excited about super heroes, but with my head deeply enmeshed in the 1920s and the whole interwar period because of Wild Skies, I decided to see what someone else had done with that time period. All the Jazz Age stuff seemed pretty accurate. Good. Like AMP: Year One before it, I found CAPERS isn’t about super heroes in the comic book sense at all, but about super-powered people. I can get onboard with that. Then reading through the rules, I was fully convinced by the mechanisms. The game uses playing cards for resolution. I ran the sample adventure for my game group. I backed the project on Kickstarter. I met the creator at a convention; turns out he’s a great guy. To cement my involvement with the game, I ended up writing a small amount of content for the game. I even wrote my own adventure and ran it for a local open gaming event. CAPERS is a game that has convinced me to play along at every step. Now that the book is out, I want to talk about it. The CAPERS book is 163 full-color pages packed with theme. Craig, (I’ll just go ahead and call the designer Craig because we’ve become friendly since we met in person) has done a great job to hit all the notes right to immerse players in that past age. The use of cards for resolution, the appearance of poker chips on the character sheets, Art Deco stylings throughout the book, and choice of a few key game terms like Moxie (a currency players expend to push situations in their favor), to a glossary of ‘20s slang all conspire to put players in the world of the setting. Put on some jazz music, play on a felt topped table and you are there. The book itself is well-printed and there are a ton of extras – don’t have any in hand myself yet, but CAPERS themed playing cards, Moxie cards, maps, GM screen, and adventures are all available. Lots of stuff for you if you like physical bits at your table. I want to talk about the art quickly. It is all by Beth Varni. She has done a good job with the period look. Full color means all the art is digitally painted so it all pops on the page. Something I also appreciate is the choice to display counterfactual diversity. Not that there weren’t women and African Americans in the U.S. in the 1920s, just that they don’t show up in most of the images of the time. Varni’s art shows people of all sorts doing all sorts of things. 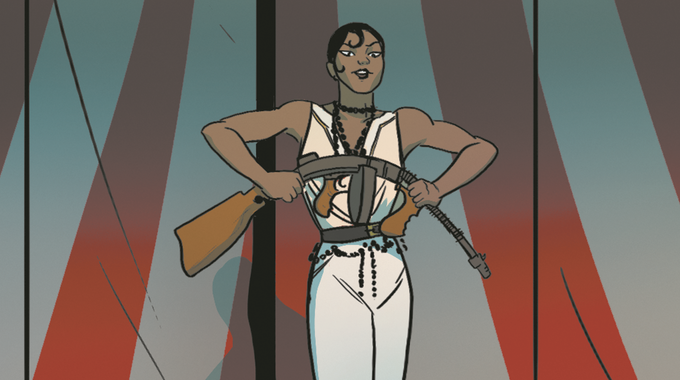 Black casino owners, women with tommy guns, female Federal agents, Hispanic and Asian names and faces… It’s great to see this kind of inclusion. It isn’t just the art, either. Gender and ethnic diversity is built into all the NPCs. Well done, NerdBurger. At the center of gameplay is a straightforward card-based mechanism. The Game Master sets a Target Score for whatever Checks players attempt (average is 8). The player then draws from their personal deck of standard playing cards trying to draw a card which meets or exceeds the TS. Jack-Ace serve as 11-14. Players may draw a number of cards equal to the applicable Trait. For example, if a character with 3 Agility wants to do a backflip (TS 10), they have three chances (called Card Count) to draw a card which is ten or higher, with the ability to stay at any time. A lot of nuance comes into the system around this core card draw system. Skills and spending Moxie add to Card Count, the suit of the card the player stays on can add a Boon or Complication, jokers are either very good or very bad, plus a few other things. In practice I have found a lot of tension comes in when a player is looking at a success with a Complication and wondering if they should draw again knowing they could just a likely draw a success with a Boon or end up with a total failure. It is a great system, which is both easy to learn and fast-playing at the table. I believe Craig even put the rule set out under a creative commons license as CAPERS CORE, so it’s out there for anyone to use. The other things in the game are a primer on 1920s culture and bootlegging gangs, a section of powers (which work the same as other Checks) with 25 minor and 15 major powers which includes Cold Beam, Flight, Goo Generation, Probability Manipulation, Super Strength and Weather Manipulation, extensive setting information for gangster hot spots like Atlantic City, Chicago and New York City; with ten other cities profiled as well (my contribution was to write four of these cities, including my current hometown of Louisville, KY), some ideas for playing in alternate worlds like Capek’s Earth, the Flipside and Omega Earth, plus extensive indexes so you can find just about whatever you are looking for. It’s a great book, very well-produced, and it’s a great game. I recommend it to anyone who likes either the 1920s or super-powers and to anyone looking for a lighter to middle-weight game (similar to Savage Worlds in complexity) which offers a pleasing alternative to dice-based systems. If CAPERS doesn’t seem like your thing, NerdBurger is raising funds now for a GM-less horror-comedy game called Die Laughing in which players create a very bad and very deadly horror movie. Check that out too. I was first exposed to Conan via the Arnold Schwarzenegger films of the 1980s and to “sword and sorcery” stories more generally via the many films and comics trying in cash in on Conan fervor. I still quite like The Beastmaster, Krull, and even The Scorpion King. Though I knew the character most of my life, I had never read any of the original Conan stories by Robert E. Howard. Fortunately, there is a three volume set put out by Del Rey in 2003-2005 which collects all the original stories along with drafts, synopses of unfinished stories, essays and notes. In 2016 I set myself the goal of reading one of these collections a year and this year I completed the third volume. It seems apt I should make some comment on what I’ve read. This won’t be an organized review of the volumes or the stories, just a smattering of my thoughts. Firstly, the Del Rey collections I read are quite good, both in physical production and content. I respect the editorial choice to present Howard’s original works as accurately as possible. 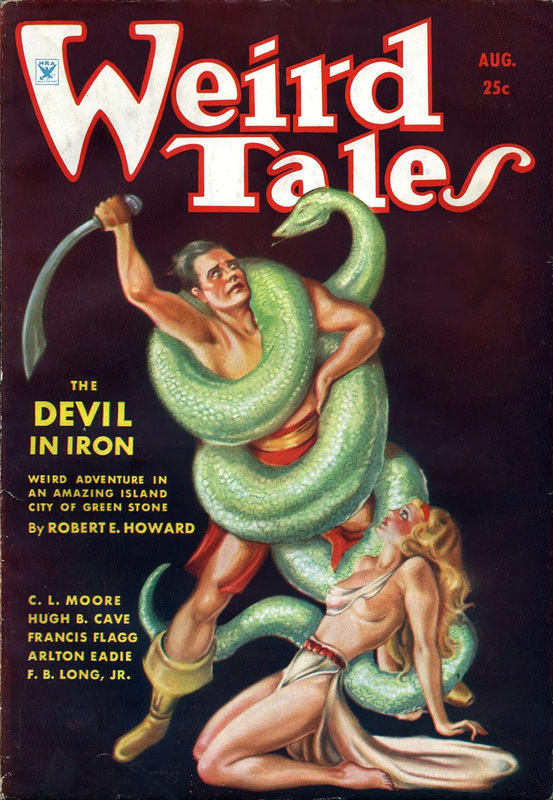 Part of the Conan legend is the stories have been edited by other hands over the decades of reprints, so going back to the stories as first printed in Weird Tales or even to Howard’s typescripts makes sure this addition has the authentic 1930s experience. Also included are drafts of complete and never-finished stories so you can see a bit of Howard’s working method and which ideas he never brought to fruition. An essay about the Hyborian Age by Howard is in the first volume and each volume has part of Hyborian Genesis by Patrice Louinet, a long essay which places all the stories in the context of Howard’s working life. I even found the notes about typescripts and the little word corrections which were made for the edition interesting. The volumes are all richly illustrated as well. The whole package creates something very much like the pulp magazines where the Conan stories originally appeared. One thing I found amazing considering the long life of the character is pop culture is how little time Howard spent writing Conan stories. The character first appeared in 1932 and the last story was written in 1936, the year of Howard’s death. Even by 1934 he already casting around for other types of characters to write and beginning to repeat himself with the Conan stories. Lin Carter observed in Imaginary Worlds that it’s hard to write something new in the sword and sorcery genre because there just isn’t that much to say about muscled sword-wielders Howard didn’t already cover. I don’t feel much needs to be said about the influence of H.P. Lovecraft on Robert E. Howard. It’s very obvious if you know what to look for. They were playing with a very similar deck of cards in regards to racial prejudice and ideal northern European heritage. They also have the same tricks for making terror: darkness, ancient ruins, pale-skinned monsters, large beings from somewhere “beyond” earth. Howard’s Hyborian Age has been praised for its economy of storytelling. He doesn’t need to explain the politics and geography of a country if he can just use what a reader already knows. It works. When Conan leaves Vendhya, rides up into the Himelias, over the Zhaibar Pass and on into Afghulistan – this is all geography I know. Similarly, Stygia in the south with its pyramids and great river can really only be one place. The problem is, of course, the horrible stereotyping of the people involved. In “Beyond the Black River,” for example, a group called the Picts are thinly disguised Native Americans, right down to the trope of lighting their arrows on fire as they attack “settlers” in a wooden stockade. They are consistently described in dehumanizing terms and called savages. The veil of fiction seems so thin over Howard’s feelings about real people it made that story hard to finish. The only thing worse is the way Howard describes people from his sub-Saharan analogs. The “product of his time” argument could come in here, but I don’t think it’s good enough. Several tales in the Conan canon can be consigned to the proverbial dust bin. Howard’s treatment of women is more complex. On one hand, there is hardly a story without a woman who ends up naked at some point. The nakedness is usually easy titillation of the (presumably straight, male) reader or present to increase the sense of defenselessness of the female character. Despite frequent scenes of peril, actual violence against women in the stories is rare. When it is present, it most often takes the form of women torturing other women. I have read about this aspect of “resolved peril” being an important cathartic function of adventure stories, but I’m not sure I can say much else about it. 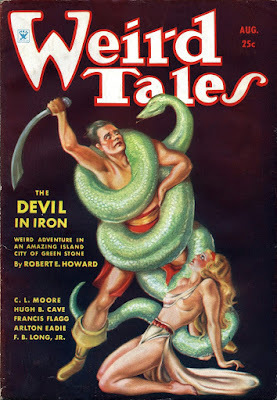 The impression I have of women in Howard’s Conan stories is they exist to be the basis of chivalric deeds. Women are constantly saved from their peril by men, usually by Conan. Howard, a famous “momma’s boy,” seems to put women on a pedestal in that way. I think it’s an expression of the idea women can only be saints or sluts. Most of the women in Conan stories are described as small and pale and soft and innocent. Oddly he almost never uses words like “hug” or “kiss.” Conan crushes women to him and crushes their lips with his. It’s odd and seems reductive. Though, Louinet makes mention of women who read Conan as a romantic hero. Yet, while waifs which need saving from stone alters are common in the Conan tales, there are exceptions. In “Queen of the Black Coast,” Conan falls in with the pirate captain Bêlit who is shown as capable of hunting her own treasure and commanding her own troops (though she does also end up naked). Valeria is another capable fighter, an assassin of the Red Brotherhood, who shares and adventure with Conan in the story “Red Nails.” In the only Conan novel, Hour of the Dragon, he meets Zelata who possesses many magic powers. She is described as an old woman, but is treated respectfully by both the text and by Conan. 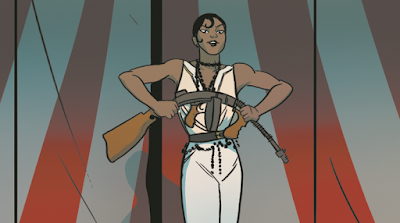 Devi Yasmina of Vendhya, whom Conan kidnaps in “The People of the Black Circle,” has perhaps the best treatment. After the story’s climatic battle with a shape-changing wizard, when Conan has rescued Yasmina, they look down from the mountain and see their respective followers in different valleys and they essentially challenge each other to meet again on the battlefield at the head of their armies. There is a respect, albeit begrudging, for each other’s position as leaders which has developed during the tale. Though the stories contain many of the same elements over and over (waifs, giant snakes, Conan’s cat-like movements, hacking off of heads), Conan himself does change. From his first appearance in “The Phoenix on the Sword,” Howard presents Conan as a barbarian who has become a king. That eventual outcome is there in the mind of any reader who follows the character from there. When Conan wins and then looses a fortune, which happens frequently, he commonly laughs it off. In the early story “The Tower of the Elephant,” Conan climbs into a tower to steal something he can turn into booze and the company of women. He doesn’t seem like the sort of man to end up tied to the responsibilities of a kingdom. I think this leads to one of Howard’s main messages. Many people have identified the theme of barbarism against civilization in the Conan stories. It’s not subtext; Conan often states his disdain for politicians and merchants who dissemble and play games with others. Allied with this idea is that Conan often emerges as an excellent leader. Men trust him both because he will wade into battle beside them, and also because he doesn’t lie or cheat them. Conan is often the only honest broker among the “civilized” men he deals with. The later stories written often deal with this idea of Conan as a leader. He begins as the captain of a queen’s guard in “A Which Shall Be Born,” and in “The Black Stranger” Conan unites rival factions of pirates in a fight against Pictish raiders. Conan as leader is taken to it’s logical extreme in the novel The Hour of the Dragon which is about a temporary usurpation of King Conan’s throne in Aquilonia by a necromantic conspiracy. Perhaps an even better example of the power of Conan’s leadership occurs in “Beyond the Black River.” I mentioned before how that story is a gloss on America’s “how the West was won” theme. Conan learns of a planned invasion of Picts into the recently settled edges of “civilization” and he proceeds to take charge of the defense of the frontier. An important section of the story does not feature Conan, but a party of men fighting as hard as they can because they know Conan is right when he says they must hold the crossroads or the “settlers” sleeping in their homes will be overwhelmed and killed. The story highlights something Howard wanted to say about the way a strong leader inspires people to be strong. There is something very American about Howard’s ideas about how civilization weakens men and so they must be led by men who are still barbarians from the frontier. I can’t help but think it is Frederick Jackson Turner’s Frontier Hypothesis turned into fiction. Howard was from Texas, after all, a state which takes great pride in its frontier history. I also can’t help but think about the rhetoric of the 2016 American presidential election. Howard’s themes of in-groups and out-groups and the ideal simplicity of heroic action are still themes societies deal with. Just as Lovecraft is famous for turning his racial prejudices into effective stories of psychological terror, I think Howard turned very similar fears into effective stories about the clash of vigorous individuality with anesthetizing conformity. That seems like a cue for my summation. I find the Conan stories, by and large, to be effective. And I enjoy them. I enjoy their visions of strange places tinged with mystery and magic and I enjoy their action. 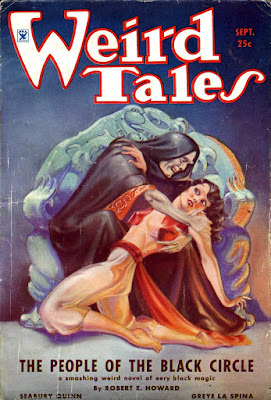 I tend to like the pulp fiction of the ‘20s and ‘30s. For me, so many pulp stories turn on the idea “knowledge means action.” Conan never stops to ponder implications or political ramifications; he learns something and then he acts. There’s an appeal to larger-than-life characters who can change their circumstances with their own efforts, especially to someone who doesn’t always feel that able to change things. Taking in all the problematic elements of the stories, along with those “good” bits I like, helps me continue to approach an understanding of how thorough the hegemony of maleness and whiteness was at that time. Escapist fiction is fine in moderation, but now is time to get back to living in this real, messy, beautiful world. 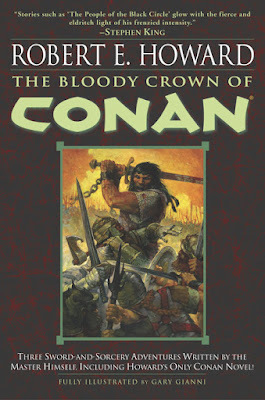 Cover art for The Bloody Crown of Conan by Gary Gianni. 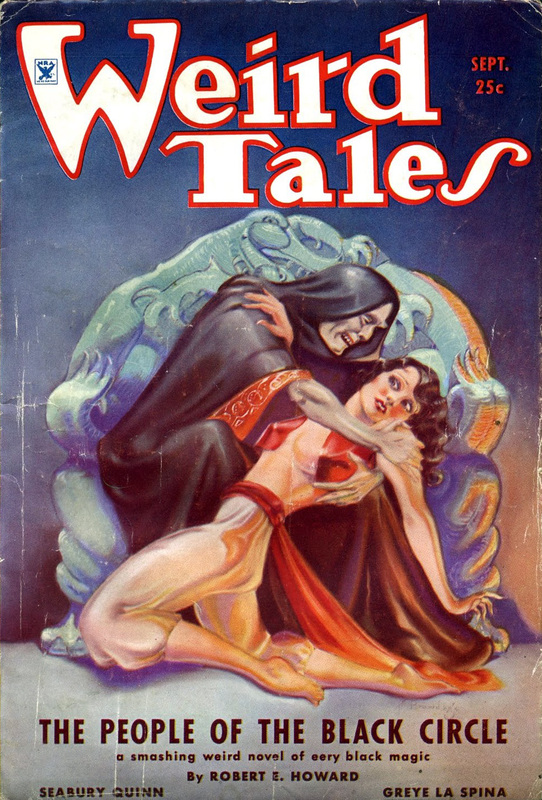 Weird Tales covers featuring Conan used in this post by Margaret Brundage. Read more about her here. In the days of yore, a man needed a good sword and a strong arm to hold it. Such things were a matter of course for daily living. No longer. Yet, a man must still make his way in the world, a man still needs a weapon. Words are my sword. Matthew Orr is a generally curious person who lives in Louisville, Kentucky. After winning NaNoWriMo a few times and co-authoring material for role playing game companies he is starting to think of himself as a writer. He co-founded Wet Ink Games in 2015 and has published one role playing game so far with many more in the works.